Since the practice first started in 2010, our staff has increased significantly, and some changes have occurred. This letter is to update you on our most recent staff changes, since some clients may not have seen/met all the vets and office staff yet. Sophie and Richard set up Meadows Farm Vets in 2010 covering Worcestershire. Fairly quickly the practice has expanded to include Shropshire and surrounding areas, giving farmers priority service and competitive medicine prices. 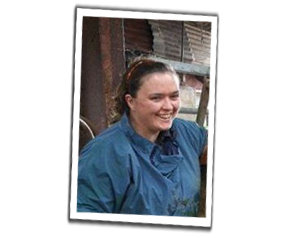 Previously, Sophie has worked in the large animal departments of mixed practices in Herefordshire and Shropshire. Sophie has recently been appointed as a Practice Standards Assessor by the Royal College of Veterinary Surgeons: an exciting and challenging opportunity to promote the Practice Standards Scheme, discovering and sharing examples of best practice. Richard is Practice Manager and works closely with pharmaceutical companies to secure the best medicine prices and deals. He has the unenviable job of overseeing the day to day running of the practice and making sure that the practice runs smoothly and resolving issues as they arise. When he can escape from the office, he is also the practice foot-trimmer, registered level 3 with NACFT. 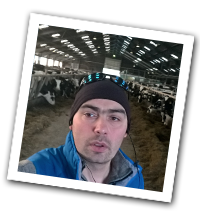 As the only para-professional within the practice, Richard offers the “non-vet” point of view to many issues facing the practice and farmers. 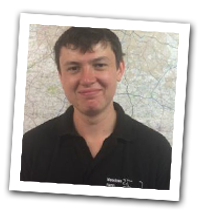 Morgan Robinson is our small ruminant intern, specialising in sheep and goat surgery and medicine. She qualified from Cornell University and having seen practice with us during her training, was keen to join a specialised farm only team. She enjoys doing plenty of surgery and routine herd work for both beef and dairy herds as well. 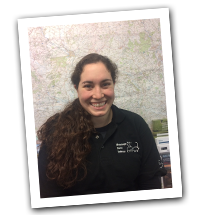 In her free time, Morgan is an active member of her local church, an avid hiker and is enjoying the opportunity to visit many different areas of the British Isles. 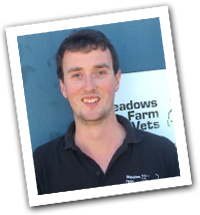 Craig was brought up in the Yorkshire Dales near Skipton, and attended Bristol vet school. Throughout his time at university, he was president of the student Vet society, won the award for contributing the most to the life of the vet school, and elected in his final year to pursue the farm animal track. For unknown reasons, he thought it was a good idea to see placement at a vet practice in Canada in winter: here he learnt that muck can freeze on your gloves when you're scanning in minus 20 degrees. Outside of work, Craig dabbles in running, cycling and squash, and recently walked Wainwright's Coast to Coast, starting at St Bees in Cumbria and traversing 194 miles to Robin Hoods Bay in North Yorkshire. Harry joined us in early 2017 having initially worked in a mixed practice. Coming from a farming background, Harry also saw practice with us as a student. He has quickly settled into the role of general farm vet, with plenty of surgical expertise and knowledge. He is very interested in country sports, and is training his dog Trigger to flush out and retrieve gamebirds. When not at work, he spends much of his time helping on the family farm. Professor Dimiter Dimitrov joins us from the University of Sofia in Bulgaria, where he has been lecturing veterinary students in production animal medicine and surgery. His main areas of research include reproductive management of heifers and cows, predominantly dairy and embryo transfer. 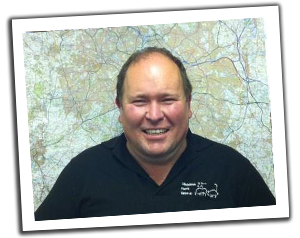 He brings a wealth of knowledge to the practice and hopes to gain plenty of practical experience of UK farming. His experience in advanced laproscopic skills including embryo transfer will be of huge benefit to our farmers, and a unique learning opportunity for our vets. Outside of veterinary work, Dimiter is a keen hunter and certified Mountain Rescue Leader. Elayne Jonas joined the team as office administrator. She has taken over the day-to-day running of the office from Sophie and Richard as we continue to expand. She has worked in the veterinary industry for over 100 years. Elayne’s role is to co-ordinate visits and TB testing as well as all the other admin stuff, so that Sophie and Richard can get on with “vetting” and foot-trimming. Most of you will have already encountered Elayne as she is in charge of the phones and running the diary. 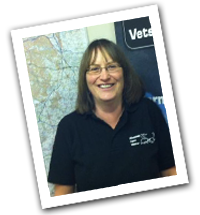 Elayne enjoys walking around the Worcestershire countryside, gardening and checking out car boot sales. 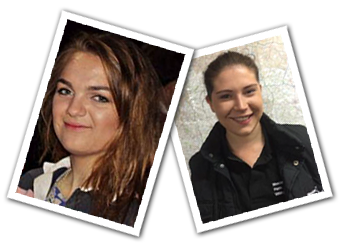 Maddie is the daughter of a local farmer and an active member of Upton Young Farmers. Emms is also the daughter of a local farmer and is studying Agriculture at Rease Heath College. Working within the practice as Veterinary Technicians, they support the vets in their day-to-day work, proving exceptionally useful at TB testing with the handheld computer system (Huskies). Other responsibilities include assisting surgical procedures, teat-sealing, mobility and body condition scoring, as well as helping Elayne to man the office. As you can appreciate, the practice has greatly increased from “one phone, one desk and one vet” in the very beginning, to several vets, support staff, extra office space, and we are still growing! We are very proud to maintain excellent service with a response time to emergency calls of within one hour, 100% of the time, to all our clients. Staff changes are inevitable but we will try and keep the inconvenience caused to a minimum by introducing new vets with an existing vet wherever possible. 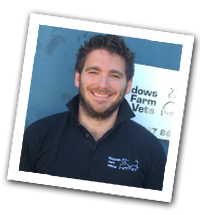 We choose our vets after a prolonged interview process to make sure that they are both clinically able and work well within our close-knit team. Richard and Sophie would like to take this opportunity to thank all our clients for trusting us with your business. We receive plenty of feedback (mostly positive!) and are always available to discuss and concerns you may have.